Can I see your princess cut e-ring, please? (Closed) Can I see your princess cut e-ring, please? I am going ring shopping on Saturday and I need some input. I have always been in love with just a solitaire princess cut diamond. But as I look at your pictures here, I see majority of Ring Bearer. 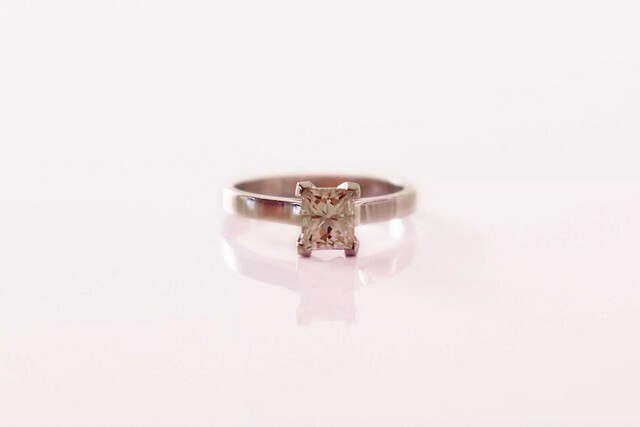 I know princess cut usually looks smaller than round but if you have any pictures to show me, I would gladly appreciate it. Michelleac: I love the scale of that on your hand. May I ask the mm/ctw and your ring size? This reply was modified 4 years, 1 month ago by jily. This is in a trellis setting. Michelleac: I’m normally not a fan of princess stones, but yours looks amazing on your hand. I love the set in the third picture. Gorgeous! Good luck shopping – best advice is to go with your gut! VioletV: Your ring is so elegant and timeless! I’m in love with it. The topic ‘Can I see your princess cut e-ring, please?’ is closed to new replies.